Bathing and grooming are essential in maintaining your pet’s healthy skin and hair coat! 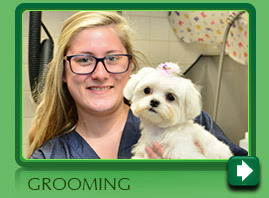 At Norwalk Animal Hospital, we offer experienced grooming and bathing services. Our dog grooming services are available by appointment. 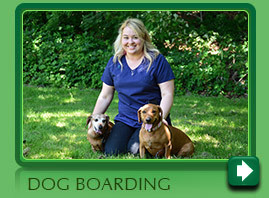 We have many years of experience grooming all breeds, sizes and ages of dogs. All dogs must be current on their rabies vaccinations. We recommend Distemper and Bordatella vaccines too. We use only high-quality, professional shampoos and conditioners. We use only heat-sensored dryers to keep pets safe. Skin, ear, teeth and many other problems can be noted by the groomer and evaluated by our veterinarians while your dog is here for “a day of beauty”. We have a full line of medicated shampoos to provide relief from allergies, hot spots, dermatitis, skin infections and many other skin related conditions. It’s best to start grooming your dog at an early age. We recommend just a bath, blow dry and trimming of their feet, face and nails to get puppies used to the grooming experience and being handled outside of the family. If it becomes necessary to give a safe sedative to your pet to help keep them calm, we can provide that as well. Call us today to schedule your dog’s grooming appointment.